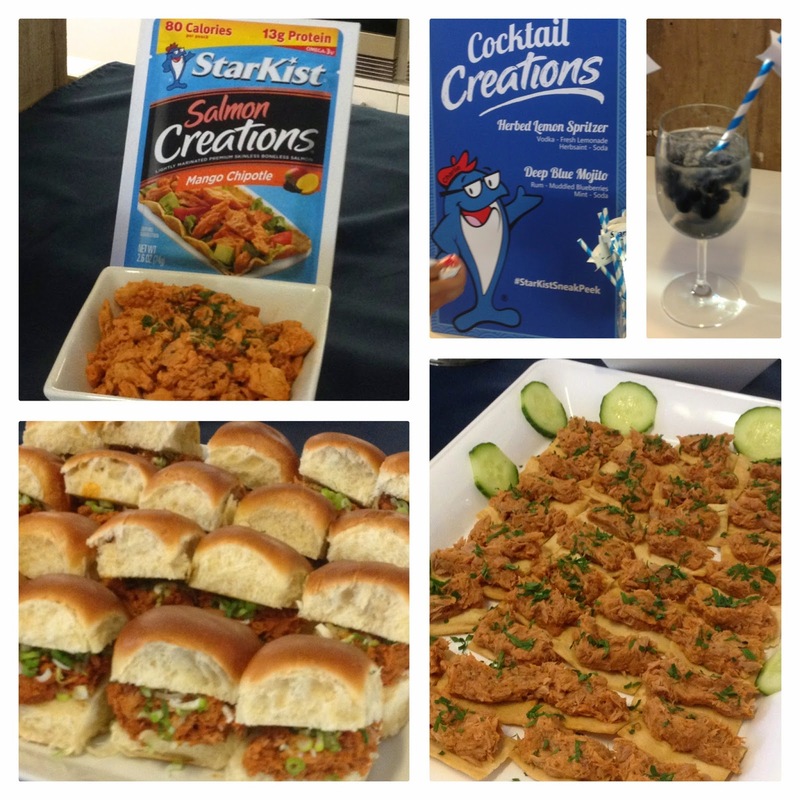 I was recently invited to see and taste the new StarKist products launching this fall. It was a really fun night with delicious food and tasty cocktails! Starkist Honey BBQ tuna sliders and Hot Buffalo Tuna pita chips. 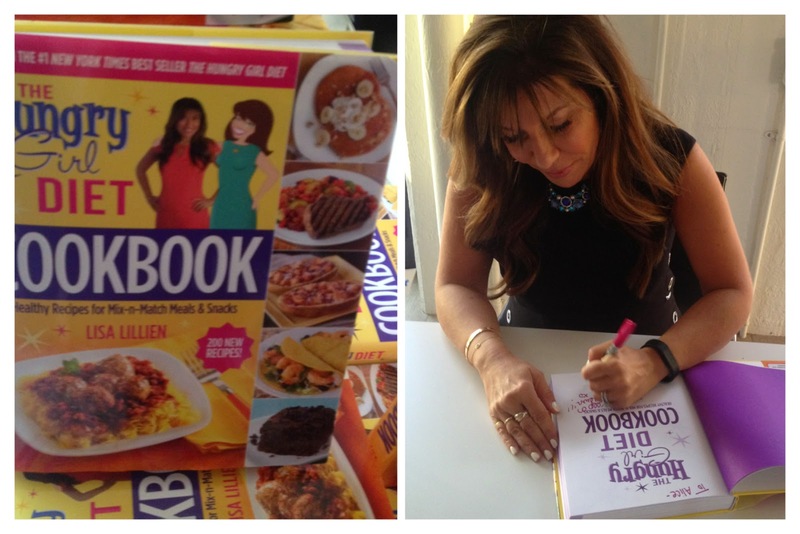 Lisa Lillien of Hungry Girl gave a sneak peak of her new book The Hungry Girl Diet Cookbook: Healthy Recipes for Mix-n-Match Meals & Snacks. 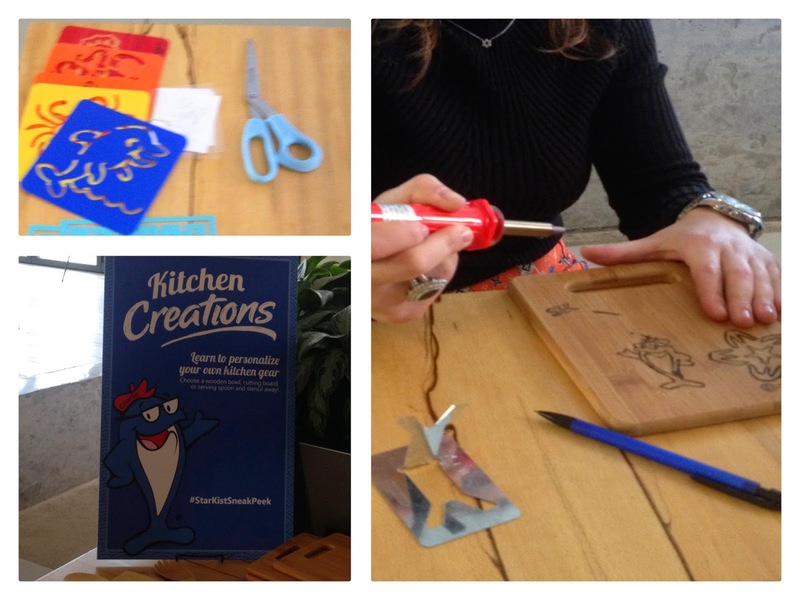 The DIY area where guests got crafty with wood burning pen and bamboo cutting boards! 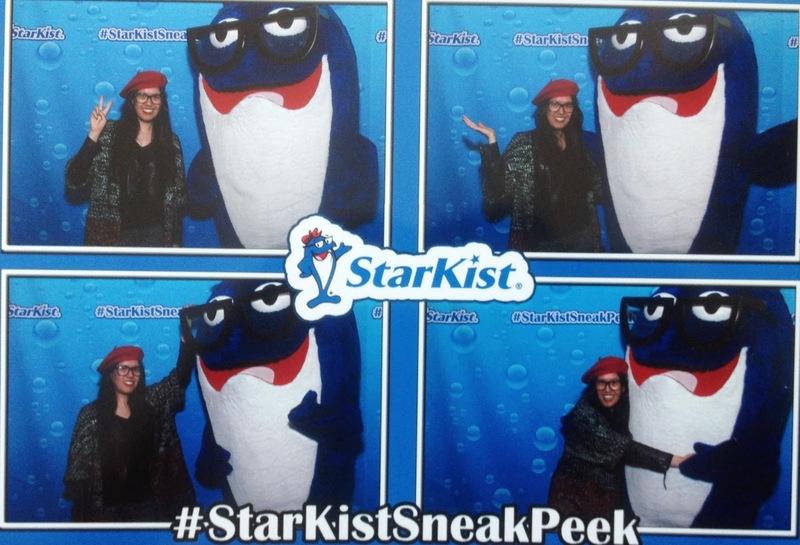 Photo opp with Starkist Charlie! 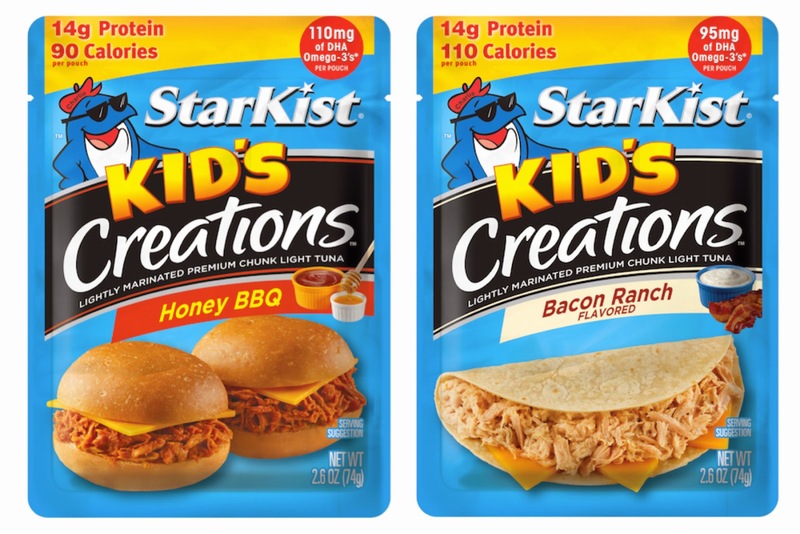 I was a big fan of the StarKist Kid’s Creations in Bacon Ranch and Honey BBQ. They’re really low fat (100 calories or less) and packed with protein. I tried the Hot Buffalo Style Tuna Creations which had a nice spicy kick to it. 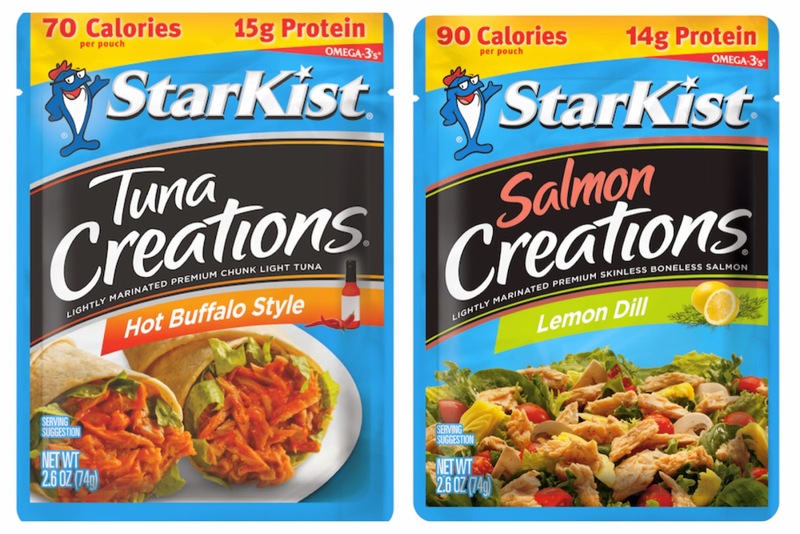 I also sampled the StarKist Salmon Creations in Lemon Dill and Mango Chipotle, which uses premium skinless, boneless and 100 percent wild caught salmon. The Starkist tuna and salmon products come pre-seasoned and come in the easy tear-open pouch design with no mixing or draining required. I’m definitely excited to incorporate the Starkist samples I received to make some easy, healthy, and tasty meals!